Bible commentaries are often huge and daunting-but they don't have to be. The Barbour Bible Study Companion addresses key passages of scripture in a simple, easy-to-use (and understand!) format. With nearly 6,500 notes, covering verses and passages from Genesis through Revelation, this resource is concise and easy to understand. 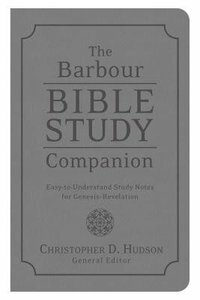 About "The Barbour Bible Study Companion: Easy-To-Understand Study Notes For Genesis-Revelation"